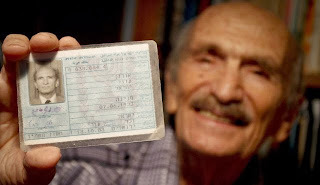 Uzzi Ornan displays his ID card - which unlike a passport does not have any mention of an Israeli nationality. The Israel's Supreme Court recently rejected a claim that there was an Israeli nationality. The claim was brought by Uzzi Ornan, a 90-year-old linguistics processor at the Technion, Tel Aviv. An Israeli nationality would undermine the 'Jewish' nature of the Israeli state. It is a very strange State where it is held to be 'illegitimate' to want citizenship and nationality to be one and the same. That is the basis of all western democracies and the bourgeois revolutions. Agranat pointed out that a division of the population into Israeli and Jewish nations would create a schism among the Jewish people and negate the foundation on which the State of Israel was established. 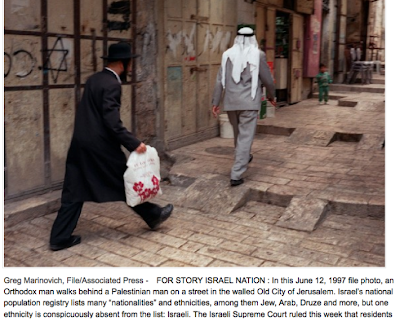 The court ruling specified, "There is no Israeli nation separate from the Jewish People. The Jewish People is composed not only of those residing in Israel but also of Diaspora Jewry." In Ornan the court explained that creating an Israeli nationality would have "weighty implications" on the state of Israel and could pose a danger to Israel’s founding principle: to be a Jewish state for the Jewish people. Israel is the only state in the world which is a state, not of its own citizens, but of people residing anywhere in the world who are Jewish. The only comparison is Nazi Germany which in 1935 stripped German Jews of their nationality. Henceforth they were not Germans of the Jewish faith but Jews who were German subjects. The German Volk/people extended to all Germans, wherever they resided, and that was the basis for the attack on Czechoslovakia – the Sudetan Germans were claimed by Hitler as part of the German Vok. Poles and Jews were expelled from the annexed territories of Poland, in particular the Warthegau, and German residents of Poland and the Eastern Territories were brought in to settle the land. 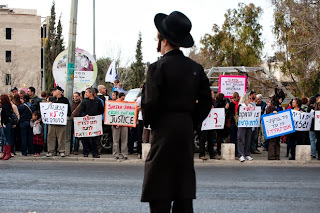 An ultra orthodox boy watches Sheik Jarrah protest against land confiscation in Jerusalem. Jewish nationals never have their land confiscated. The question of what constitutes a Jewish or Israeli identity has been a permanent dilemma for Israelis and non-Israelis alike. The definition of ‘who is a Jew’ is defined in Israel by Orthodox Jewry, i.e. someone born of a Jewish mother who has not adopted another religion. It is much the same as the Nazi definition in the Nuremberg Laws 1935, i.e. based on ethnicity or race. British journalist Jonathan Cook, who resides in Nazareth, wrote an article Court nixes push for ‘Israeli nationality’ 18.10.13 Al-Jazeera. There is little to disagree with in the article but Moshe Machover, a co-founder of Matzpen, the Socialist Organisation in Israel has responded with a piece ‘ ‘Confusion Compounded’. However Moshe confuses the debate even further with an exploration of nationality and citizenship in European countries as well as Israel. I have written a response below. Moshe’s argument is written in the context of his belief that Israeli Jews or Hebrews are a separate nation, with which I disagree. All Israelis are Israeli nationals abroad! In my opinion, although well intentioned and laudable in many ways, this article adds to the already great confusion of the issue under discussion. The demand by Uzi Ornan and others to be registered as "Israeli" under the Nationality rubric in their Israeli ID card is not as progressive as they claim, and as Jonathan Cook seems to believe. In part, the confusion is linguistic. In English, "nationality" (equivalent to the French "nationalité") has two different meanings: it can mean citizenship but can also mean national identity in the sense that the Basques, Kurds and Scots are nations although there is no Basque, Kurdish or (as yet…) Scottish citizenship. This ambiguity was deliberately fostered by the French state following the French Revolution. It was a curate's egg. On the positive side, it granted equal individual rights to all French citizens, those who had French nationalité. But on the negative side it was deliberately designed to deny the distinct national identity of national minorities such as the Basques and Corsicans, and to refuse to accord them collective rights as national minorities. Since French was, and to a large extent still is, the main diplomatic language, passports of many countries use the rubric "Nationality/Nationalité" to state the citizenship – not the national identity in the other sense – of the passport's bearer. If Jonathan Cook will care to look at his own UK passport, he will find under this rubric the description "BRITISH CITIZEN". And in my Israeli passport, under the rubric "Nationality" it says "Israeli". Thus Israel does officially recognize Israeli nationality in the sense of citizenship. The national identity (in the other sense) of the bearer is not stated in either passport. A UK passport does not say whether its bearer is English, Scottish, Welsh (or Irish – but let us not get into this morass…). 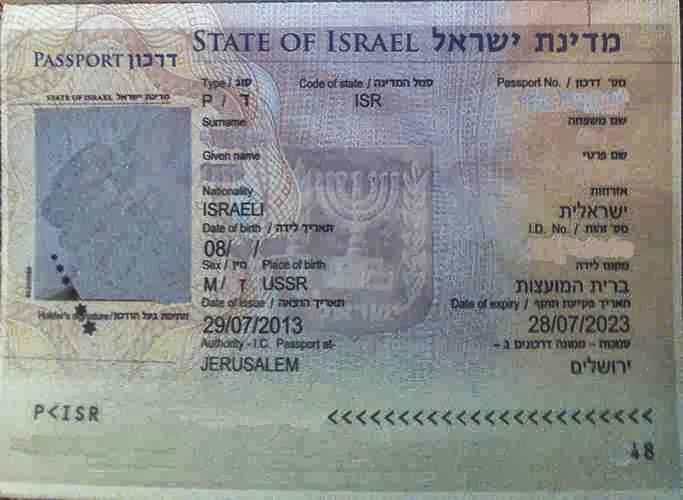 Nor does an Israeli passport say whether its bearer is … what? But this gets us into the next bit of confusion. The Hebrew word that Jonathan Cook translates as "nationality" is "le'om" (or "le'umiut"). It is this word that appears as rubric in an Israeli ID document. But the Hebrew word – unlike its supposed French and English counterparts – is not ambiguous. It means just one thing: national identity in the sense that the Basques, Scots and Kurds are nations. And in this sense there really does not exist an Israeli nationality. So the Israeli Supreme Court was right to deny its existence. But its motives and arguments for reaching this correct conclusion are entirely contemptible, as Jonathan Cook rightly implies. They are rooted in Zionist ideology and in Israel's nature as an ethnocracy, to which the Supreme Court is committed and which it seeks to uphold. In reality, there are in Israel two main national groups. One, a national minority, is Palestinian Arab. The other, the majority, is the settler nation, commonly (but confusingly) referred to as "Israeli Jewish". A better term – which Uzi Ornan himself and others promoted for many decades – is "Hebrew", a term that quite rightly has no religious connotation and emphasises the modern Hebrew language, which is unique to this nation as a medium of everyday discourse and culture. As in other cases where colonizers did not rely on the indigenous people as their main source of labour power – such as the US and Australia – so also in Palestine/Israel a new settler nation has come into existence. Zionist ideology also has a problem with the existence of the Palestinian Arab national group – which it refuses to recognize fully, and denies it collective rights as such. By demanding to recognize a single Israeli le'om (or le'umiut) Uzi Ornan and his friends are paradoxically colluding with this anti-democratic stance of the Israeli state. For if there is one Israeli national identity, that would undermine the just demand – raised by the Arab party Balad and other – to recognize the Palestinian Arab citizens of Israel as a national minority, with collective rights to which it is entitled as such. Second, that the Palestinian Arab national minority should be recognized officially and have full collective rights as such. A court decision this month that rejected Israelis’ right to a shared nationality has highlighted serious problems caused by Israel’s self-definition as a Jewish state, say lawyers and human rights activists. Since Israel’s founding in 1948, authorities have refused to recognise such a nationality, instead classifying Israelis according to the ethnic group to which each belongs. The overwhelming majority are registered as either “Jewish” or “Arab” nationals, though there are more than 130 such categories in total. Some observers also fear that the court ruling, which effectively upheld Israel’s definition as a Jewish state, will strengthen the aversion of Israel’s right-wing government to resolve the Israeli-Palestinian conflict. Israeli Prime Minister Benjamin Netanyahu has repeatedly insisted that Mahmoud Abbas and the Palestinian Authority recognise Israel as a Jewish state as a condition for reaching a peace agreement. The case was brought to court by the “I am an Israeli” movement, led by Uzi Ornan, a retired linguist from northern Israel. 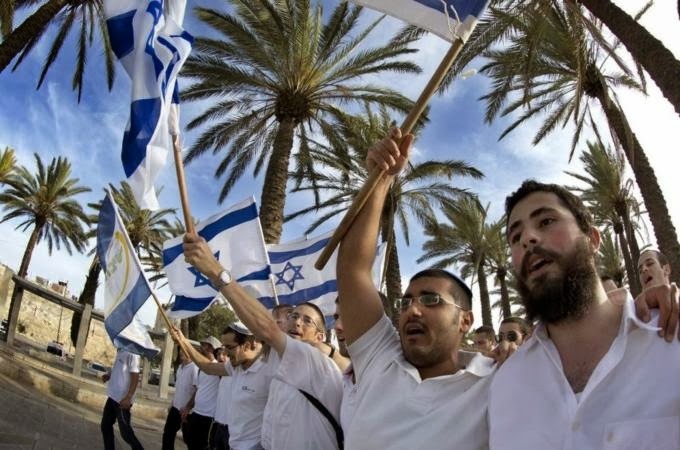 The group, which includes both Jewish and Palestinian citizens of Israel, argued that they should be allowed to change their nationality to “Israeli”. Others view the ruling more positively. Anita Shapira, a professor emeritus of Jewish history at Tel Aviv University, said creating a new category of “Israeli national” would undermine the Jewish essence of the state and alienate Jews from other countries who felt a connection to Israel through a shared religion. “The attempt to claim that there is a Jewish nationality in the state of Israel that is separate from the Jewish religion is something very revolutionary,” she said. The “I am an Israeli” movement’s petition was originally heard and rejected in 2007 by a district court in Jerusalem. The group then appealed to the Supreme Court, the second time that Israel’s citizenship laws have been challenged in this venue. In the first hearing, in 1971, Justice Shimon Agranat ruled that it was “illegitimate” so soon after Israel’s founding for the petitioners to “ask to separate themselves from the Jewish people and to achieve for themselves the status of a distinct Israeli nation”. Though more than 40 years had passed, that position was largely upheld in the new ruling. Asher Grunis, the head of the Supreme Court, decided: “The existence of an Israeli ethnic nationality has not been proven.” Another judge who heard the case, Hanan Melcer, warned that conceding such a nationality would jeopardise “the Jewish and the democratic nature of the state”. However, legal analysts have drawn the opposite conclusion. Aeyal Gross, a law professor at Tel Aviv University, wrote in the Haaretz newspaper that the court’s decision “will continue to obscure the possibility of having real democracy in Israel”. Hassan Jabareen, the director of Adalah, a legal rights group for the Arab minority in Israel, said the state’s refusal to recognise a shared nationality stripped Palestinians inside Israel of equality in most areas of their lives, including access to land, housing, education and employment. “It is also disturbing that Israeli law treats Israel as the Jewish homeland for Jews everywhere, even those who are not citizens of Israel,” he said. Jabareen said this was achieved through the 1950 Law of Return, which allows Jews anywhere in the world to come to Israel and gain automatic citizenship. Israel used another law – the Citizenship Law of 1952 – to belatedly confer citizenship on the Palestinians who remained on their land following the 1948 war that established Israel. The Law of Return effectively provides an immigration policy only for Jews. Under the terms of the Citizenship Law, only a few dozen non-Jews – those who marry an Israeli citizen – qualify for naturalisation every year. Israel passed another law in 2003 that bars most Palestinians from the occupied territories and Arabs from neighbouring states from being eligible to naturalise, even if they marry an Israeli. At the time, officials said the law was needed to prevent terrorism, but most observers believe the legislation’s real aim was to prevent what Israelis call “a right of return through the back door” – the fear that Palestinians would use marriage to Palestinians inside Israel to win citizenship and thus erode the country’s Jewish majority. Ornan and others complain that the ethnic and religious basis of Israeli citizenship is further accentuated by Israel’s adoption of arcane personal status laws dating from the Ottoman period. 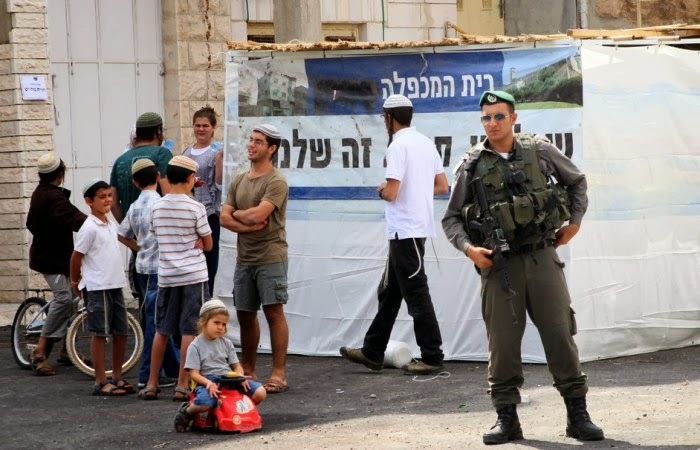 There are no civil institutions dealing with most areas of Israelis’ private lives, forcing citizens to be identified with their religious community. Civil marriage, for example, is not possible inside Israel, and anyone marrying across the religious divide must marry abroad, typically in Cyprus, and then register the marriage upon their return. Civil rights groups such as “I am an Israeli”, as well as the Palestinian minority’s political parties, have been trying to challenge the citizenship laws, arguing that they are the key to Israel’s system of structural discrimination. Adalah has established an online database showing that Israel has more than 55 laws that explicitly discriminate between Jewish and Palestinian citizens. 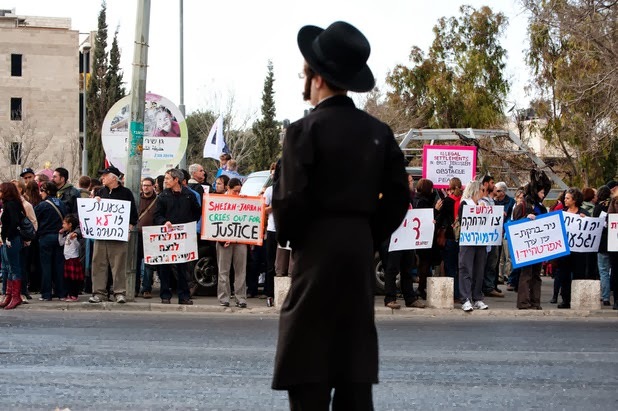 This number has grown rapidly in recent years, said Jabareen, as the Israeli right-wing has been forced to legislate many established but uncodified discriminatory practices that were under threat of being ruled unconstitutional by the courts. In one recent example, Netanyahu’s government passed the Admissions Committee Law in 2011, to prevent the Supreme Court ruling against vetting committees that have long denied Palestinian citizens access to hundreds of communities controlling most of the land in Israel. The government acted after a Palestinian citizen of Israel, Adel Qaadan, spent two decades in a legal battle to be allowed into one such community, Katzir. Qaadan was among the petitioners who lost this month’s case to be recognised as an Israeli national. The court ruling highlighted the growing divide between the ruling right-wing coalition on one side, and civil rights groups and the Palestinian leadership in Israel on the other. Since the mid-1990s, the Palestinian political parties have increasingly challenged Israel’s claim to be a “Jewish and democratic state”. Instead, they have demanded that Israel be reformed into what they call a “state of all its citizens”, or a liberal democracy. Leading Israeli politicians, including a recent prime minister, Ehud Olmert, have admitted that discrimination against Palestinians exists. However, they have suggested that it is informal and similar to the discrimination faced by minorities in many democratic western countries. A survey published this month by the Israel Democracy Institute found that 49 percent of Israel Jews supported giving more rights to Jewish citizens than to Palestinian citizens. The same survey found that barely more than one-quarter of Palestinian citizens felt a sense of belonging to Israel. Israel’s domestic intelligence service, the Shin Bet, has officially defined the campaign for a state of all its citizens as “subversion”. It has also said it will “thwart the activity of any group or individual seeking to harm the Jewish and democratic character of the State of Israel, even if such activity is sanctioned by the law”. The main proponent of this campaign, Azmi Bishara, who led the Balad party, was accused of treason by the Shin Bet a short time later and forced into exile. In recent years, the Israeli right-wing has grown increasingly concerned about challenges to the state’s Jewishness. The Yisrael Beiteinu party – led by Avigdor Lieberman, a former foreign affairs minister and a political ally of Netanyahu – has lobbied for loyalty laws to restrict the Palestinian minority’s political activities. In the past two general elections, Lieberman has campaigned under the slogan, “No citizenship without loyalty”. Over the summer it was announced that members of Netanyahu’s coalition government were drafting a basic law that would formally define Israel as the “nation-state of the Jewish people”. According to reports in the Israeli media, the bill would allow only Jews the right to national self-determination, Hebrew would be the only recognised language, and Jewish religious law would be used as guidance in Israeli courts. Haaretz has argued that the bill would institute “apartheid” in Israel and turn the state into what it called a “Jewish and racist state”. At the same time, Netanyahu’s government has also established a “Jewish Identity Administration” to work in Jewish schools. It is headed by Avichai Rontzki, a former chief rabbi of the Israel Defence Forces who at the time was accused of bringing more extremist religious views into the military. The administration’s stated aim is to “restore the State of Israel’s Jewish soul” by teaching pupils to “love the Jewish homeland”. According to leaks to the Israeli media, Berman Shifman, a consultant who advised the goverment on the new unit, warned that the key idea behind the administration was “taken from fascism, not from the field of education”. TG: In Britain and most European countries, citizenship and nationality are one and the same, certainly in terms of their practical effects. They might not recognise what is termed ‘national identity’ but that is the price of the nation state. In Britain, there is a debate over whether people are British nationals or English/ Welsh, Scottish. In any event it is immaterial, because no practical consequences flow from this. TG: In terms of rights and responsibilities there are no differences. Immigration and rights of residence, social security benefits, defence are all decided on a UK wide basis. Likewise there are no borders between the different countries and of course they have the same currency, head of state etc. There are however different constitutional mechanisms, designed mostly to compensate for the remoteness of Scotland and Wales from London. But the Assemblies, created by Devolution has very limited revenue raising powers and in Wales they are non-existent. Moshe says that Scotland (not Wales!) has its own legal system. Only up to a point. The laws they implement are usually one and the same and Westminster law trumps Scottish law. More importantly the Scottish Court of Session (our Court of Appeal) is not the highest judicial body. That is the British, mainly English, Supreme Court (which used to be the House of Lords). The Privy Council Judicial Committee whilst not binding is 'persuasive'. The term British Citizen in the passport is therefore irrelevant (in fact it used to be Citizen of the UK and colonies, with the implication that you were a UK national). Of course the definition of the Basques and other national minorities as belonging to the majority nation, for example Spanish or French, is a form of national oppression because it only recognises their individual rights and where there is a conflict, as with the Kurds in Turkey, then there isn’t even an equality of individual rights. MM: This is exactly my point. The official French position that the French "nation" is co-extensive with French citizenry is a deliberate confusion, designed to legitimize oppression of national minorities. TG: I'm not sure that the conflation of 'nation' and 'citizenship' by France, which Napoleon implemented in every country he conquered, was deliberately designed to legitimise national oppression. Rather it was important in the breakdown of feudal relations, the caste and city states. It was certainly welcomed by the Jews but those who were colonised, as in Algeria and Corsica, were of a different opinion. TG: But in western Europe the conflation of citizenship and nationality is important, not least because it recognises that regardless of colour, race, ethnicity etc. one has the same rights as the next person. MM: Yes; this is its positive side: recognition of equal individual rights. Its negative side is denial of collective rights of national minorities. TG: In Israel it does matter, because citizenship accords only the right to reside, work and vote. It does not presume equality. Jewish Nationality in Israel means to be a member of a superior race of people, one with all the privileges, whereas citizenship is the most basic minimum. We can see that in Palestine Papers re the ‘peace talks’. One of Tsipi Livni’s primary demands was an exchange of land so that a future Palestinian statelet could include Israeli Arabs/Palestinians. In other words Israeli citizenship means that your presence if tolerated, not welcomed and certainly doesn’t imply equality. MM: We agree on this. In Israel there is oppression of both kinds: there is no equality of individual rights of all citizens; and there is also denial of collective rights of the national minority. TG: The French concept of citizenship and nationality being coterminous did indeed mean that Jews were not a national minority and/or an alien presence. To paraphrase Clermont Tenerre in the 1789 Constituent Assembly, ‘to the Jews as a nation nothing, to the Jews as individuals everything.’ This was welcomed by Jews everywhere, not just France (with the exception of the Orthodox and later the Zionists). MM: Actually the Orthodox (especially in Western Europe) also had no objection – so long as the right of Jews to practise their religion was secure. MM: No, Tony. It is not an Israeli deception. The Israeli passport uses the generally accepted terminology used in most other passports, inherited from French (that used to be the language of international diplomacy). It is this terminology that is misleading, but Israel is not responsible for it. In this terminology, "nationality" means citizenship – as its clear from its use in other passports. The Israeli passport simply follows this general international practice: it uses 2 languages, Hebrew and English. On the left-hand side under the rubric "nationality" it says: "Israeli". On the right-hand side is the Hebrew translation. "Nationality" is translated as ezrahut, which is the Hebrew word for citizenship. There is no dishonesty in this translation, because the rubric "nationality" in a passport (Israeli, British, French or whatever) actually does mean citizenship and nothing else. TG: Moshe I disagree. For most states nationality and citizenship are one and the same, they are not based on religion or ethnicity, so the answer to the heading 'nationality' is the same as it would be to 'citizen'. But in Israel this is not the case. Citizenship accords very few rights. Nationality, i.e. Jewish nationality grants all sorts of rights and privileges and this is based on Israel being a state of the mythical 'Jewish people' rather than its own citizens. So it is clearly fraudulent to put 'Israeli' on a passport or any other document when the Supreme Court has consistently ruled there is no such thing. Thus when Moshe says that the use of the term ‘Israeli’ under nationality implies that there is such a thing as Israeli nationality ‘in the sense of citizenship’ I disagree. It does no such thing other than to try and pull the wool over peoples’ eyes abroad as to the real situation. MM: Israel officially recognizes Israeli citizenship, which in its passports (as in passports of other states) comes under the heading "nationality". Israel does not recognize an Israeli "le'om" or "leumiout", which means nationality in the other sense (as in Kurdish or Basque nationality). MM: Nonsense. I do not claim that there exists an Israeli nation. I actually deny it. Citizenship is a formally and officially defined status. Israeli citizenship clearly exists. To translate it as "Israeli nationality" is indeed a confusion. But Israel is not responsible of this particualr confusion. This is what most passports do. TG: Moshe says that the Hebrew word "le'om" in the Israeli ID card does mean Jewish nationality, but of course it is a false nationality from which non-Jews are, of course, excluded. The very definition of nationality as being based on religion not residence or citizenship, is itself a reactionary throwback to medieval Europe. This is not a matter of semantics as very real human rights, such as the right to lease or buy ‘national’ land is dependent upon it. What is certain is that you cannot have Israeli nationality when you fly to Europe and then lose it in mid-air on the way back! Matter changes into energy when in motion but citizenship doesn’t change into nationality!MM: You are right. The Israeli official classification under "le'om" is nonsensical, discriminatory and confused. It is in any case a scandal that a person's religion, ethnicity etc rather than citizenship is stated in their ID document. TG: Of course the Israeli Supreme Court was right to deny there was such a thing as Israeli nationality because this would conflict with the basis of Israel as a Jewish state, not of its own citizens but Jews everywhere. TG: The question of Jewish Identity is not therefore just a racist question for Israel. It also affects Jewish people world-wide, not least in the United States, where most Jews would be considered non-Jews by Orthodox Jewry. It is clear that in the West today, in the absence of anti-Semitism and lacking any social or economic basis, the number of secular Jews is rapidly shrinking. Only Israel provides the racist glue to unite and define Jews. Moshe and myself had a further discussion on this which is below, in which I refer to a debate on Jewdas. Well is Israel following the international convention, or is it taking advantage of the confusion that results from the way the system works internationally? Let us stick to the facts. The normal international convention is that the rubric "Nationality" in a passport refers to the bearer's citizenship, not to nationality in any other sense. The UK abides by this convention and so do lots of other countries, including multi-national ones. So does Israel. To make this even more obvious: in an Israeli passport the rubric "Nationality" is correctly translated into Hebrew as "ezrahut". So if we have any reason to complain, it is not about the rubrics in an Israeli passport. This rubric is based, as you say, on nationality and citizenship being one and the same. No; "nationality" and "citizenship" are not in general one and the same. The former is ambiguous, depending on context. ; the latter is not ambiguous. However, in the context of a passport, the convention is that the rubric "Nationality" is to be understood as referring to citizenship. It does not follow that they are one and the same in other contexts. But in Israel it isn't the same. 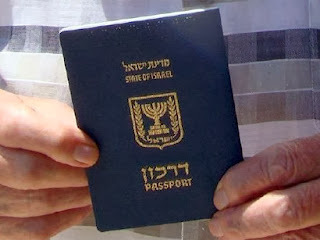 It is the same in the context of an Israeli passport – as in the context of other passports. On the other hand, in other contexts it is not the same in many countries, including Britain. Citizenship means very little if you are not a Jewish national and therein lies the deception. This "deception" has nothing to do with passports. When an Israeli passport of an Arab citizen states that s/he is Israeli by "Nationality" (ezrahut in Hebrew) it is not deceiving anyone. Who is supposed to be deceived? Border officials know very well that what a passport states under the rubric "Nationality" is the bearer's citizenship. However, when Israel claims that it does not discriminate against its Arab citizens, it is deceiving the world. You ask who is deceived? Well when I appeared on the BBC Big Questions programme, an Israeli who was also present disagreed when I said there was no such thing as an Israeli nationality. 'Look' she said, taking out her passport, it says 'Israeli' under nationality. And therein lies the rub. 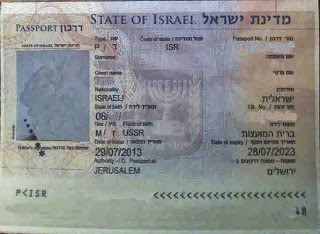 Israelis abroad who are Zionists can and do use this entry in their passports to deny the accusation that there is no such thing as an Israeli nationality. If you look at the Jewdas site, this debate was had there 'Debating Anti-Semitism on the BBC' http://www.jewdas.org/2009/11/anti-semitism-in-the-service-of-war-crimes/ where indeed Israelis lied about there being a nationality based on the entry in their passport, so I really disagree with you that it is a confusion caused by the French or whoever. Israel seeks to deny to some that it is a state not based on equality of citizens and it uses the passport entry to confirm this. The first major survey of American Jews in more than 10 years finds a significant rise in those who are not religious, marry outside the faith and are not raising their children Jewish — resulting in rapid assimilation that is sweeping through every branch of Judaism except the Orthodox. "It’s a very grim portrait of the health of the American Jewish population in terms of their Jewish identification," said Jack Wertheimer, a professor of American Jewish history at the Jewish Theological Seminary, in New York. The survey, by the Pew Research Center’s Religion & Public Life Project, found that despite the declines in religious identity and participation, American Jews say they are proud to be Jewish and have a "strong sense of belonging to the Jewish people." While 69 percent say they feel an emotional attachment to Israel, and 40 percent believe that the land that is now Israel was "given to the Jewish people by God," only 17 percent think that the continued building of settlements in the West Bank is helpful to Israel’s security. Jews make up 2.2 percent of the American population, a percentage that has held steady for the past two decades. The survey estimates there are 5.3 million Jewish adults as well as 1.3 million children being raised at least partly Jewish. The survey uses a wide definition of who is a Jew, a much-debated topic. The researchers included the 22 percent of Jews who describe themselves as having "no religion," but who identify as Jewish because they have a Jewish parent or were raised Jewish, and feel Jewish by culture or ethnicity. However, the percentage of "Jews of no religion" has grown with each successive generation, peaking with the millennials (those born after 1980), of whom 32 percent say they have no religion. "It’s very stark," Alan Cooperman, deputy director of the Pew religion project, said in an interview. "Older Jews are Jews by religion. Younger Jews are Jews of no religion." The trend toward secularism is also happening in the American population in general, with increasing proportions of each generation claiming no religious affiliation. But Jews without religion tend not to raise their children Jewish, so this secular trend has serious consequences for what Jewish leaders call "Jewish continuity." Of the "Jews of no religion" who have children at home, two-thirds are not raising their children Jewish in any way. This is in contrast to the "Jews with religion," of whom 93 percent said they are raising their children to have a Jewish identity. Reform Judaism remains the largest American Jewish movement, at 35 percent. Conservative Jews are 18 percent, Orthodox 10 percent, and groups such as Reconstructionist and Jewish Renewal make up 6 percent combined. Thirty percent of Jews do not identify with any denomination. In a surprising finding, 34 percent said you could still be Jewish if you believe that Jesus was the Messiah. Jews from the former Soviet Union and their offspring make up about 10 percent of the American Jewish population. While earlier generations of Orthodox Jews defected in large numbers, those in the younger generation are being retained. Several scholars attributed this to the Orthodox marrying young, having large families and sending their children to Jewish schools. Steven M. Cohen, a sociologist of American Jewry at Hebrew Union College-Jewish Institute of Religion, in New York, and a paid consultant on the poll, said the report foretold "a sharply declining non-Orthodox population in the second half of the 21st century, and a rising fraction of Jews who are Orthodox." The survey also portends "growing polarisation" between religious and nonreligious Jews, said Laurence Kotler-Berkowitz, senior director of research and analysis at the Jewish Federations of North America. The Jewish Federations has conducted major surveys of American Jews over many decades, but the last one in 2000 was mired in controversy over methodology. When the federations decided not to undertake another survey in 2010, Jane Eisner, editor in chief of The Jewish Daily Forward, urged the Pew researchers to jump in. It was a multimillion-dollar effort to cull 3,475 respondents from a pool of 70,000. They were interviewed in English and Russian, on landlines and cellphones from Feb. 20 to June 13, 2013. The margin of error for the full sample is plus or minus three percentage points. Ms. Eisner found the results "devastating" because, she said in an interview, "I thought there would be more American Jews who cared about religion." "This should serve as a wake-up call for all of us as Jews," she said, "to think about what kind of community we’re going to be able to sustain if we have so much assimilation." The conclusion that can be drawn from such a poll is unmistakable. At the core of Jewish identity is belief in the Jewish religion, yet increasing numbers are atheists or of no religion. Although two-thirds identify with Israel, as assimilation reduces the number of Jews this attachment can only reduce numerically. Should we mourn what is the disappearance of Jewish people in the West? No, it’s only those who have a romantic attachment to the idea that the traditional forms of Jewish identity can be resurrected who will mourn such a loss. Indeed, in so far as the majority Jewish identity is based around support for Israel then the assimilation of the world’s largest Jewish community is to be welcomed. Ilan indulges in a shmaltzy nostalgia for a period which is not going to return. He notes, correctly that when it first appeared, most Jewish rabbis and the Orthodox rejected it as substituting worship of a state for a god. But times change. Jewish Orthodoxy has benefited from Zionism, not least in the vast subsidies it has received. Ilan is also right that most secular liberal, socialist or communist Jews rejected Zionism, believing that anti-Semitism could fought where it was found. In that respect Zionism was unique in that it accepted anti-Semitism as the natural reaction to Jews in their midst. In his Diaries (p.6 Ed. Ralph Patai), Herzl wrote that ‘In Paris ...I achieved a freer attitude towards anti-Semitism, which I now began to understand historically and to pardon. Above all I recognise the emptiness and futility of trying to ‘combat’ anti-Semitism.’ Likewise Chaim Weizmann, Israel’s first President and the long-standing President of the Zionist Organisation wrote in his autobiography Trial & Error (pp. 90-91) of the leader of the anti-Semitic British Brothers League that ‘Sir William Evans Gordon had no particular anti-Jewish prejudice. He acted as he thought, according to his best lights and in the most kindly way, in the interests of his country. Normally meticulous as to his facts, Pappe’s sojourn into wishful thinking has also led to errors such as claiming that the description of the socialist Bund as Zionists who were afraid of sea-sickness was Trotsky’s comment. In fact it came from Plekhanov, a Menshevik who drifted so far to the right as to support Russian participation in World War I.
Pappe points to the contradiction inherent in secular, atheistic Zionists resting their claims to Palestine on a god whose existence they denied. But that is the whole point. By making such a claim they threw in their lot with reactionary Orthodox Judaism and turned their backs on socialism. Pappe again goes astray when he asserts that the rejection of the Uganda plan was because of Christian opposition. In fact Joseph Chamberlain, the Colonial Secretary who made such an offer, was himself a Christian Zionist. The primary opposition came from within the Zionist movement and in particular the Russian Zionists under Menachem Ussishkin. Herzl in any event had originally preferred Argentina (Der Judenstaat). Pappe is right that the anti-Semitic Christian Zionists wanted to be rid of the Jews in Europe and have them return to Palestine in order to hasten the second coming of the Messiah – and if they refused to convert to Christianity they would perish in the flames of Armageddon. It is true that Orthodox Jewry opposed end "Exile" in the Diaspora, holding that a ‘return’ of the Jews could not be hastened by the Zionist movement. Pappe argues that it was ‘One of the greatest successes of the secular Zionist movement was creating a religious Zionist component that found rabbis willing to legitimise this act of tampering’. That may be true but it is simply evidence that religions change as circumstances change. Pappe argues that ‘in the 1990s the two movements - the one that does not believe in God and the one that impatiently decides to do His work - have fused into a lethal mixture of religious fanaticism with extreme nationalism.’ I would suggest that such a mixture had long been formed when Ben-Gurion decided to form a coalition government in 1949, not with the ‘ left’ Zionist Mapam but the National Religious Party. The problem is that there is no way today, except for a tiny minority, for Jews to adopt an alternative, non-Zionist version of Judaism. Jewish Orthodoxy has long been captured for Zionism. Pappe writes that for Jews today it is; imperative to reconnect to the Jewish heritage before it was corrupted and distorted by Zionism.’ Again this is redolent of a heavy dose of wishful thinking. You can’t reverse the tide of history. It maybe an example of ‘nationalist criminality’ but it’s not something that can be reversed as there is no basis for example for the existence of the Bund. They and their supporters died in the Nazi genocide and only a remnant escaped, not least to Israel. A fascinating, yet very sad story of these remnants who lived primarily in Tel Aviv is Bundayim by Eran Torbiner, a supporter of Boycott from Within. These remnants made no concessions to Zionism but it was clear that they had had no impact or relevance on the settler colonial society surrounding them. Ilan suggests that ‘We need to reclaim Judaism and extract it from the hands of the "Jewish State" as a first step towards building a joint place for those who lived and want to live there in the future.’ Not only is this impossible but I would ask why should one want to reclaim a dying religion? It certainly won’t affect the existence of Israel as a racist settler state, precisely because Israel’s racist is not based on but justified by an interpretation of the Pentateuch. Even if all Orthodox Jews became liberals overnight, Israel would still continue down the path to Armageddon. Ilan, like many others, needs to recognise that you cannot recreate the Jewish working class of Eastern Europe. Jews today have moved on and upwards socially and politically to the Right. No amount of self-delusions will change this simple fact. 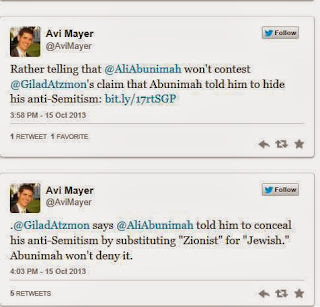 Atzmon helps the Jewish Agency frame Ali Abunimah as a ‘racist’. 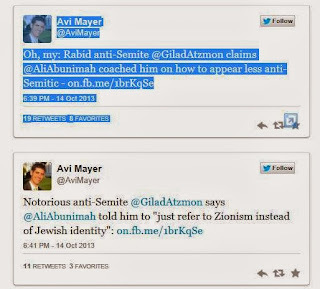 Gilad Atzmon, who nowadays has little or no influence in the Palestine solidarity movement, after the expulsion of a holocaust denier friend of his, Frances Clark-Lowes, from PSC in 2011, has taken to providing false or manipulated information to the people like Avi Mayer of the Zionist Jewish Agency suggesting that Ali is a racist. With a new battle front opening up online, especially on Twitter, Mayer has become a vocal and tech savvy supporter of Jewry and the Jewish state. Whether it’s demolishing an anti-Israel advocate in 140 characters or less, or disseminating stories that shed light on the positive aspects emerging from Israel, Mayer is a leader of the new breed of internet cheerleaders and has become the bane of many an anti-Semitic tweeter. Mayer’s use of ‘anti-Semitism’ is wholly cynical. Zionism came into being on the basis that anti-Semitism was a natural phenomenon. As its founder, Theodor Herzl wrote: In Paris I began to understand and to pardon anti-Semitism - Herzl Diaries p.6). The only reason for the Jewish Agency existing today (it used to be the quasi-government of the Yishuv, the pre-1948 Jewish population in Palestine ) is to provide a means for the state to discriminate against Arabs whilst denying it is doing any such thing. Instead of the State refusing the right of Arabs to lease land it subcontracts this out to the Jewish Agency. It uses the Jewish Agency and Jewish National Fund (another para-state organisation) to ‘Judaify’ areas such as the Galilee and Negev. One would have though that Meyer might first deal with the mote in his own eyes before searching for the beam in others! The article itself is below, but I have a few comments of my own. 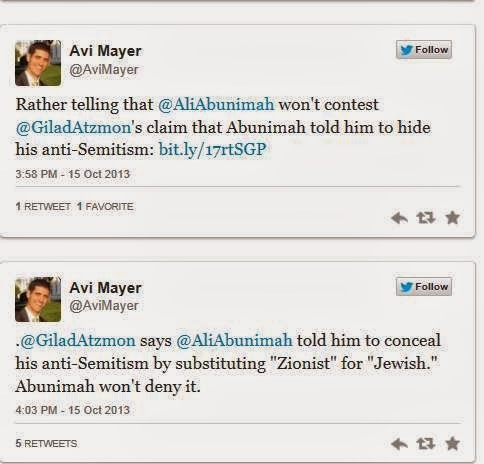 The key phrase that Ali Abunimah uses, that Avi Mayer exploits, is ‘What you describe as "Jewish" might perhaps be more accurately described as "Zionist," - and then we might find grounds for a lot of agreement.’ It is clear that the word ‘might’ qualifies both the description of Jewish behaviour as Zionism and any future agreement between the two. In retrospect, I am sure that Ali wishes that he had never even engaged with Atzmon or tried to give him the benefit of a doubt. However many of us have tried to wean Atzmon off the equivalent of his mother's milk without success. To suggest that Ali’s comment above was ‘coaching’ or advising Atzmon to ‘conceal’ his anti-Semitism is a deliberate lie by someone to whom lying comes second nature. This suggestion by Mayer is a good example of someone well versed in the Goebbel’s technique – the bigger the lie the more likely it is to be believed. In fact Atzmon demonstrates during the conversation both his Zionism and anti-Semitism. In the sentence ‘It is important for me to mention that I referred to Jewish identity and Jewish Ideology rather than to Jewish people. In my entire career I have never referred to Jewish people, Jewish ethnicity or race! !’ one has to remind him that there isn’t and never has been one Jewish identity, certainly not in the past century and a half. The suggestion that there is a ‘Jewish ideology’ is clearly anti-Semitic. Just as it would be nonsense to suggest there was a Catholic or Protestant ideology. Of course all religions change their ideas and identiy but Atzmon's essentialism fixes a Jewish identity for all time. It is therefore either biologically determinist or cultural racism. If Atzmon were simply referring to Orthodox Judaism there might be a grain of truth in it, but to suggest there is one common ideology that connects me and Netanyahu is racist. Pure and simple. Atzmon also lies when he says he has never referred to Jewish people ethnicity or race. Perhaps he has a poor memory as smoking the weed can result in memory lapses. But in my Guide to Atzmon the great man says, for example that ‘When a so-called ‘better’ Jew refers to himself as a ‘Jew’, what is it that he refers to? Is it his racial belonging? Is it biological determinism in play? Is it the ethnic identity…’ ‘Zionism is inherently a racially oriented "homecoming" project’ ‘‘Ostrovsky refers to racial solidarity, I call it 3rd category brotherhood and Weizmann calls it Zionism.’ No doubt there are more examples of how Atzmon never refers to Jewish ethnicity or race! Atzmon goes on to say that ‘since Israel presents itself as ‘the Jewish state’, we must be entitled to elaborate on Jewish identity, Jewish ideology and Jewish politics.’ I am sure students of logic can see the flawed nature of this argument which is why Atzmon is both a Zionist and an anti-Semite. Do we accept Israel’s or Zionism’s claims to be a ‘Jewish’ state? What is inherently Jewish about it other than that it uses being 'Jewish' as a mark of privilege? Did White South Africans demonstrate that all white people are inherently racist? Atzmon is happy to accept Israel’s self-definition of itself. This is a clear statement that the structures of apartheid are a product of Jewish racism, not the settler-colonial and Zionist nature of Israel. The fact that most Israelis consider Zionism irrelevant doesn’t mean that that is true. It means that they consider occupation, repression and discrimination are normative behaviour. Unfortunately Atzmon is at one with them. I do not usually write in response to nonsensical online allegations by bigots. If I did I would have little time for anything else. However, I thought it was important to do so in this case. Over recent weeks, MJ Rosenberg, a well-known pro-Israel commentator, published six blog posts smearing me as "anti-Semitic." His posts are not my concern here but are mentioned as context. Atzmon has even paid to promote this message on Facebook as a "sponsored" post. But the words that Atzmon attributes to me in his Facebook post are fabricated. I never wrote those words. However, Avi Mayer, the social media director of Israel’s Jewish Agency, among others, has been gleefully disseminating Atzmon’s Facebook posting embellishing it with the allegation that I "coached" Atzmon on how to "hide his anti-Semitism." What you describe as ‘Jewish’ might perhaps be more accurately described as ‘Zionist,’ - and then we might find grounds for a lot of agreement. Atzmon claims that this is "a juicy bit of information Abunimah would probably prefer to keep hidden from the public eye." Far from it. Atzmon did not publish our entire correspondence because that would undermine his nonsensical claims. So I will do so. In November 2010, I was invited to speak at a conference in Stuttgart, Germany on the one-state solution. Atzmon apparently invited himself to this conference and somehow parlayed his way onto the stage to give what was called a "greeting." Atzmon was not an invited speaker and never appeared on the published conference program or the list of speakers (Videos of the conference were made and published by an independent organization, publicsolidarity.de). At that point, I had not paid much attention to his work. When he spoke, I (and many others at the conference) found Atzmon’s comments disturbing because he appeared to be blaming Jews as Jews for the conflict in Palestine, rather than the settler-colonial practice and political ideology of Zionism. Two days after the conference, Atzmon contacted me via Facebook and we had a brief, polite exchange of private messages, but one in which I reiterated the objections I made in Stuttgart. Atzmon initiated the exchange. I responded to him once. He followed up with two more messages. It is, as far as I recall, the only occasion I have ever written to Atzmon. Although the exchange was cordial, I never did meet with Atzmon, and never again responded to any of the numerous private messages he has sent me, including in the last few weeks, pleading with me to revise my views of him. The "Ilan" Atzmon refers to in his messages is Ilan Pappe, who was an invited speaker at the Stuttgart conference. Here is the entire transcript of the exchange. (Note: these messages appear in the chronological order in which they were sent. They are taken from the stored archive of a Facebook account I no longer use. A bug in the Facebook archive makes it appear as if the first message was sent on 1 December 2010. It was however sent before the other messages). I realised today that you were upset by my short talk in Stuttgart. It is important for me to mention that I referred to Jewish identity and Jewish Ideology rather than to Jewish people. In my entire career I have never referred to Jewish people, Jewish ethnicity or race!!! However, since Israel presents itself as ‘the Jewish state’, we must be entitled to elaborate on Jewish identity, Jewish ideology and Jewish politics. I understand your concerns, I know exactly where you come from and I also appreciate your immense contribution to the discourse. However, as an artist and a writer i am somehow compelled to share my truth with others. I am sure that your realise that it is Jewish ideology and culture that stops Israelis from jumping on the OS [one state] wagon. Even the Jewish left stops short of doing so. I somehow pretty sure that you know it yourself. Dear Gilad, I appreciate your note. However I did not hear it quite like that and I am not sure that others did and my fear is that what you said can lead not to enlightenment, but to encouraging discrimination of deepening prejudices. I doubt that is your intent, but it is what could be the result. What you describe as "Jewish" might perhaps be more accurately described as "Zionist," - and then we might find grounds for a lot of agreement - but that is a longer discussion perhaps we’ll have a chance to have in person another time. Of course you have the right to speak your mind, and you always do! Dear Ali thanks so much for taking the time… i will be very short. In my I writing differentiate between Jews (the people), Judaism (the religion) and Jewishness (the ideology). I ve never ever spoken about Jews (the people), I hardly speak about Judaism but restrict myself to a certain interpretation of it , yet, i am very critical of Jewish ideology, politics and identity. In Germany, i spoke about Jewish Ideology and culture. Didn’t say a word about Jews, Jewish people, Jewish ethnicity or Jewish race. I just do not do it. It is unfortunately a fact that Universalism and reconciliation are foreign to Jewish ideology for Jewish Ideology is tribal and defined by negation. I do not agree that Jewishness (ideology) is ‘Zionism’. Zionism is indeed one manifestation of ‘Jewishness’. I won’t exhaust you with it, I am about to publish a book about it. However, as you know, Zionism is not a living discourse in Israel. Zionism is a diaspora discourse. Both Ilan myself and a few other millions were not educated as Zionists ( Jews awaiting transformation) but as Sabras (the ‘success fruits’ of Zionism). We were the post revolutionary entities. Hence the attack on ‘Zionism’ can hardly touch Israelis (and in fact it doesn’t). I believe that this understanding is crucial for the success of our project. I believe that we must understand what we are up against. I was very excited to hear both you and Ilan. You are both incredible in what you are doing. However, I understand now that you probably do not approve my approach tactically. do not have any plans to bother you with it… however, here is a new article by Uri Avneri… it elaborates on the issue you raised yesterday ..Jewish identity/ zionism..you may want to check the last 3 para’..
Firstly, the transcript shows that the quote Atzmon first attributed to me on Facebook is fabricated. I never wrote those words. Secondly, the claim that I "coached" Atzmon on how to "hide his anti-Semitism" is a pure fabrication by the Jewish Agency’s Avi Mayer. Thirdly, the actual words I wrote that Atzmon selectively quotes in his blog were a response to his statement: "I am sure that your realise that it is Jewish ideology and culture that stops Israelis from jumping on the OS [one state] wagon. Even the Jewish left stops short of doing so." It is in direct response to his assertion that I wrote: "What you describe as ‘Jewish’ might perhaps be more accurately described as "Zionist," - and then we might find grounds for a lot of agreement." That’s a position I obviously stand by: it is Zionism, not Judaism or Jewishness, that is incompatible with the possibility of a single, democratic unified state. While I gave Atzmon the benefit of the doubt at the time when I said it might not be his intent to foster prejudice, closer attention to his work convinced me that, indeed, his goal is to do precisely that. That is why I was pleased to sign, along with many other people I respect, the March 2012 statement on the racism and anti-Semitism in Atzmon’s work. By fabricating words to attribute to me and selectively quoting my words, Atzmon hopes to implicate me in his racism. By latching on to his baseless allegations, anti-Palestinian propagandists hope to smear me as "anti-Semitic." They hope to claim that my well-known, crystal clear public stance against all forms of racism, including Islamophobia, anti-Semitism and Zionism, shared by many colleagues in this movement, is contradicted in private. But as the the full exchange of messages shows, I repeated in private what I said to the Stuttgart audience in public: that Atzmon’s targeting of Jews fosters prejudice. This was consistent with the public stance I took as far back as 2001 regarding Israel Shamir, emphasizing the importance of making no space for racism in the Palestinian rights movement. It is a position I will always defend. For the record: It has been claimed – apparently because my name appears first in an alphabetical list – that I was the initiator of the March 2012 statement regarding Atzmon’s work. Although I would have been proud to claim that credit, unfortunately I cannot. Nonetheless, when asked to sign, I did so without hesitation.